This is how to leave the stage. When you are still loved, sometime before you are chased off with boos and bags of pure water. It is easy to get carried away especially when there is applause; easy to get comfortable and never want to leave. In fact the echoes of applause that have since stopped can continue in one’s head so that you are not able to tell whether people love or are just tolerating you. Mugabe would advise otherwise, but I seek the face of Mandela in this matter. I have offended a few people while writing the “How To” series. Yesterday, a pretty rosy-cheeked French expatriate struggled to tell me in imperfect but sweet English how one of the articles, “How to be an expatriate” ‘hurt’ her. And I, with carefully enunciated words, explained that this was only satire and that although it left a bitter taste on her pink lips, I meant to describe only a certain type of expatriate. For all my friends foreign and local who have felt offended by this series, I beg that they should not allow common articles interfere with our glorious hustle. I am young. And many times foolish. Forgive me. Some of the articles have resonated with a lot of people, like “How to worship the Nigerian god”. Thousands of people read and shared that article and I received many lovely messages of appreciation (and a few condemning me to the hottest parts of hell). I will say that it was this article that God used to bless the hustle of the series, drawing readers from around the world, spreading this gospel from Austria to South Africa. At some points, some people tried to truncate my hustle. When I wrote “How to be angry”, I got a curious passive-aggressive call at night from someone who claimed to be calling from the Government House of Kaduna State. The fellow called to “set the record straight”. That same week a writer had been kidnapped in Abuja. Understandably, I panicked and alerted a lot of my journalist friends. I didn’t sleep at home that night. God will judge that man appropriately. I thank all those who syndicated the series or even just put it up on blogs (and acknowledged the source). I thank especially Daily Times Nigeria and Cheta Nwanze with whom this hustle started. I thank Y!Naija and Chude Jideonwo who always said yes to me when I needed a favor. I thank my dear friend Carmen McCain who saved my readers from embarrassing mistakes, for always being there when I needed a second eye; for always being there. Many thanks to Mirella Mahlstein Ajibade, for giving me some of the great ideas that produced some of the most popular articles; for being my bouncing board (and sometimes lab rat). Malinda Seneviratne, the kind Sri Lankan editor of The Nation who took an interest in my work and showed my articles to Sri Lanka: God bless your Sri Lankan hustle. A few people have flattered me by acknowledging me in their own original “How to” articles. Joke Ajibola even mentioned my name in the title of her brilliant “How to be a witness to injustice”. She didn’t have to, but it was nice. God will bless her hustle. I hope that many more people will write satire whether following the “How to” style or otherwise. The stage is big enough for everyone. Hopefully, the entire series will be made into a little book and you can all go buy it and further bless my hustle. This is how to leave the stage. When you are still loved, sometime before you are chased off with boos and bags of pure water. To the thousands of people who have made this possible: may God meet you at the point of your needs and immensely bless your hustle! ha ha! 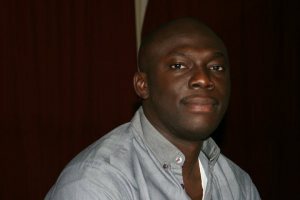 Elnathan you are truly wonderful! May God bless your hustle!